Kailey and John Ryan, MD, a retired Virginia Mason surgeon and longtime family friend. Kailey Druffel has visited Virginia Mason a number of times, but not as a patient. Her mother, Shelly, was a surgical technician at Virginia Mason when Kailey was young, before a long battle with breast cancer took Shelly’s life. Now her mom’s former colleagues are like extended family for Kailey, staying in touch with the high school graduate as she plans her own career in medicine. Last summer, Kailey spent a week learning about orthopedic surgery at Virginia Mason, rounding with a surgeon who had worked with her mom, looking at X-rays and scrubbing in to observe procedures. The experience cemented her desire to become an orthopedic surgeon. Kailey has always looked ahead with optimism despite also losing her father, who died in a boating accident just months before her mother died. Raised by her grandparents in Clarkston, Wash., Kailey grew into a community volunteer, working through her church to serve homeless families and administer other programs, and in her local Salvation Army soup kitchen. In her junior year of high school, Kailey started the volunteer project that felt closest to her heart: Hats for Hope. So Kailey recruited an eager group of high school students – interestingly all boys – to learn how to crochet beautiful, toasty warm hats intended to comfort cancer patients undergoing treatment. Working during their free “flex time” earned by students doing well in their classes, Kailey and the Hats for Hope team created an impressive collection. When it was time to find people who needed the hats, Kailey knew where she would go. 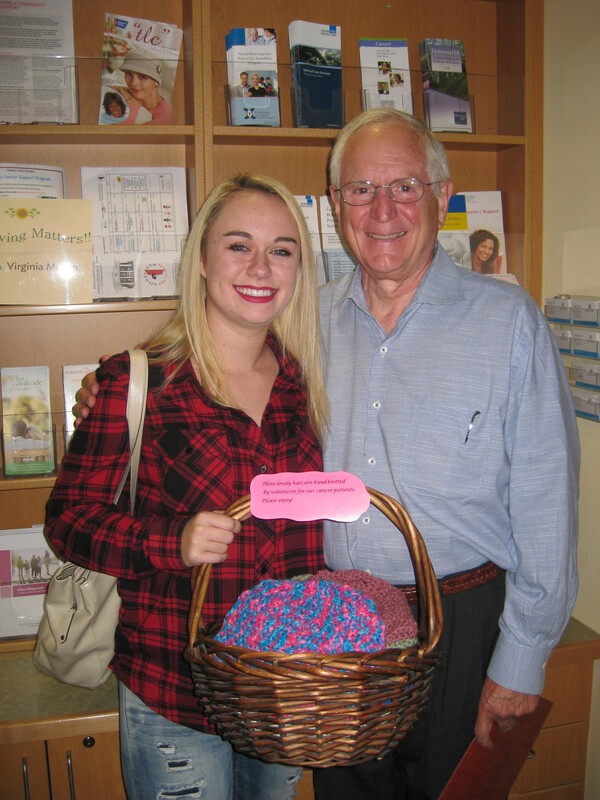 She recently met with some of her mom’s friends and former colleagues at the Floyd & Delores Jones Cancer Institute at Virginia Mason, bringing along the donations from Hats for Hope.